The arrival of DVB-T2 - or Freeview HD, as it's more commonly known - last year was a watershed moment. As well as bringing the first free-to-air HD TV channels available to all of us - eventually - the start of Freeview HD broadcasting also consigned a generation of flatpanel TVs to the dustbin. 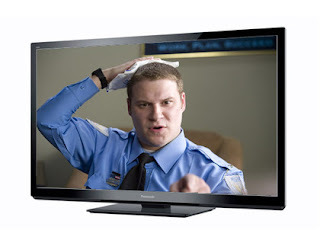 Cue a raft of cheap 'n' cheerful set top boxes rushed out ahead of the World Cup in 2010, though if you'd rather retain the all-in-one experience you'll be wanting a plasma or LCD TV with a built-in Freeview HD tuner. With universal coverage set for the end of this year, the process of weeding-out sets without Freeview HD tuners inside has begun - and we don't expect there will be a single non-Freeview HD TV left on sale by the end of this year. 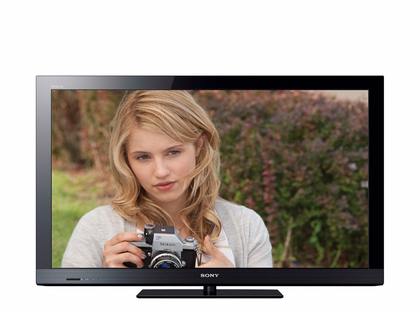 Here's the best of the current Freeview HD TV crop. 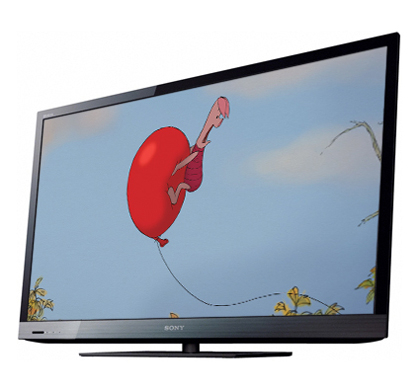 Sony's 32-incher in its CX Series is all about value, with this LED-eschewing LCD TV with built-in Freeview HD TV tuner concentrating only on the basics. Novel smartphone app control, USB recording, wireless connectivity (via an add-on dongle), Bravia Internet Video (including BBC iPlayer, Sony's own Qriocity hub and LOVEFiLM) and a new incarnation of the exceptionally Freeview HD-friendly Xross Media Bar user interface (familiar to PS3 owners), alongside a full HD resolution, makes this a perfect match for HD-hungry homes. However, 3D TV support and 100Hz anti-blur tech are the casualties, and the brushed metallic 'look' is just that. Feature-laden and accomplished in all areas, the Panasonic TX-P50GT30B - now selling for £500 below its initial price - is almost unbeatable in its 2D and 3D performance. It's hard to imagine a better quality 50-inch TV coming along this year. 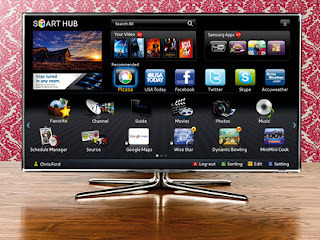 In fact, our only criticism is that this 50-inch 3D Freeview HD TV's Viera Connect smart TV interface isn't designed to support as many apps as it does. Menus are much improved for 2011, but the Freeview HD and Freesat HD (both tuners are included here) interface is drab. But timed recordings can be made to a hard disk attached to this NeoPlasma via a USB slot. Forgoing the wizardry in its high-end TVs, Samsung has issued this modestly sized LED TV that lacks bells and whistles, but comes in at a very affordable price - and that includes a Freeview HD tuner. 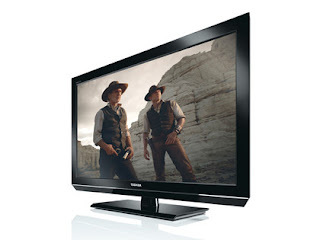 Be careful - others in the Samsung D5000 Series lack HD capability with digital broadcasts - but the D5520, a much welcomed update, consists of a Freeview HD tuner inside a 40-inch LCD TV illuminated by edge-mounted LEDs. A great Freeview HD interface it is, too, which is joined by Samsung's App Store, Smart Hub interface, DLNA file streaming, Full HD resolution and 100Hz processing. Terrific value, a great design and - from Freeview HD channels in particular - superb picture quality. Sony has stuffed this 32-inch Essential EX Series TV with must-have features, but somehow kept it at a reasonably wallet-friendly price. That's most unlike Sony, but don't make the mistake of thinking this is a cut-price effort. Inside this great all-rounder is a Freeview HD tuner, nicely revamped screen menus, Sony's new single-chip image processor called X-Reality, Bravia Internet Video apps (the best in the business, with BBC iPlayer, Demand 5, Sky News, Qriocity Video on Demand, LOVEFiLM, Eurosport and YouTube), Skype and even smartphone app control. You can also record programmes from the built-in Freeview HD tuner on an external hard drive, while the set's EPG, despite being a little cluttered, is easy to work with. Eight channels are displayed at once in the timeline grid, but it leaves enough room for live TV, a synopsis and a cluster of colour-coded options at the bottom. Housed within a svelte 34.9mm-deep frame are features galore; a Freeview HD tuner, LG's new app-stuffed Smart TV hub (with YouTube, BBC iPlayer, AceTrax, Facebook and Twitter apps), extensive multimedia playback from USB or DLNA networking and a fabulous online multimedia interface called Plex. We're also surprised that Edge LED backlighting gets a look-in at this price, although corners have been cut in some areas. It's not possible to use the USB slots to record from the set's built-in Freeview HD tuner to a USB HDD, though this Full HD set is a whizz with Freeview HD generally, supporting it with a fully functional, and darned attractive, user interface and EPG. 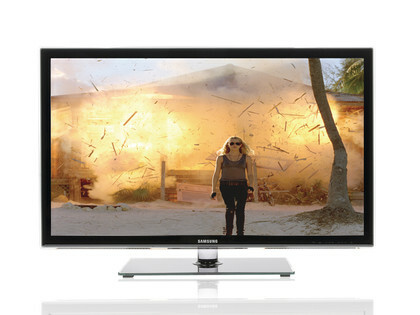 3D is the casualty on this budget-busting 37-incher in the E30 Series, but it's still a groundbreaking attempt that finally puts LCD on a par with Panasonic's all-conquering plasmas. This LED-powered TV sports excellent 3D pictures and adds advanced networking features and access to a new world of IPTV content courtesy of Panasonic's new cloud-based Viera Connect hub of apps (which includes BBC iPlayer, YouTube, Daily Motion, Acetrax, Cinetrailers, Facebook, Picasa and Twitter). Freeview HD-wise, it can record to a hard disk attached via USB. But the EPG isn't nice - there's no Live TV window and it's scarred by an ugly advertising banner, although there is a useful search function. 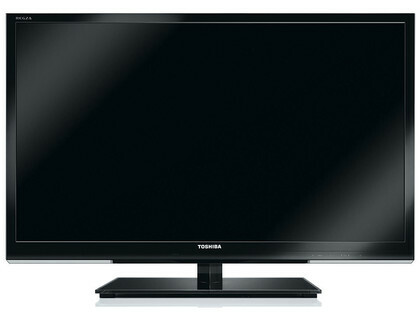 How does this sound for an all-in-one digital solution with added HD goodness: a 32-inch Full HD LED TV with Toshiba's new Places smart TV portal, built-in Wi-Fi, full networking capabilities, 100Hz processing, a Freeview HD tuner and in-depth picture calibration? Reality follows theory to the letter here, with four HDMI inputs, an ethernet jack and twin USB ports as key offerings - one of the latter can be used to record footage from the TV's Freeview HD tuner to a storage device, giving you basic time-shifting functionality without the need for a dedicated PVR. There's a slick Freeview HD interface and sharp, colourful HD images, though Toshiba Places lacks apps (BBC iPlayer and YouTube are joined only by Dailymotion, Viewster, Box Office 365, Cartoon Network, Hit Entertainment and Woomi). 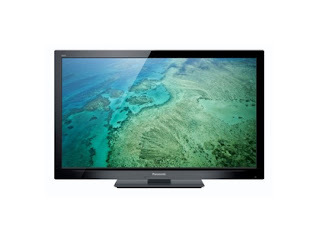 Despite a narrow bezel and a depth of 24mm that combine to create the illusion of a floating screen, the Freeview HD features on this pricey 40-inch LED-backlit LCD TV come thick and fast. The set carries both Freeview HD and Freesat HD tuners, three USB slots that each record to USB flash drives from either tuner, and a spotless Freeview EPG, which is fast and easily the best around. Apps, home networking, Skype (if you buy a webcam) and web browser are also on board, as is 3D. Clean and precise, 3D is at last comfortable to watch on an LED telly; here it uses the active shutter system. Add to all that the fact that Samsung's 2011 crop offer a combination of aesthetic flare and excellent build quality that no other brand can currently match, and we have a winner. 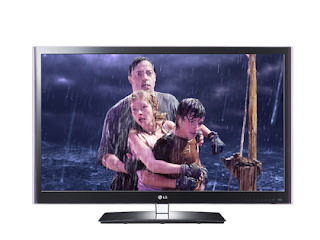 We just can't fathom the price drop on this cracking 3D TV - why is nobody buying this polished performer, a 40-inch LED-backlit LCD with possibly the best quality pictures across all sources we've seen for some time? Its biggest problem is the lack of BBC iPlayer, but judged purely on picture quality, the LC-40LE831E uses its Full HD resolution and must-have Freeview HD tuner to fuel its star feature: Quattron. 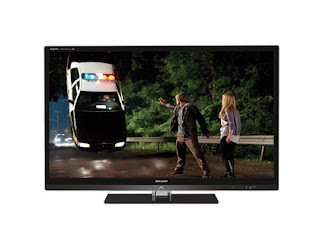 This adding of a fourth sub-pixel - yellow - to the panel helps to create bright, lively pictures that, along with 200Hz, help bring out the best from Freeview HD and 3D sources. A contemporary-looking LCD TV with an LED edge-lit Full HD panel, decent connectivity, Freeview HD, plenty of user-adjustable tweaks and smattering of multimedia features including access to iPlayer and YouTube. There's no 3D or USB recording features, hence the low price, but Freeview pictures are very good, with SD channels nicely upscaled by the TV's Resolution+ feature. Its black-text-on-white Freeview EPG is one of the best around, with schedules for 13 channels displayed for over 2.5 or 1.25 hours. There's even a handy genre guide and search facility, though it can be slow to load.